18th April 2019 – the results are in! 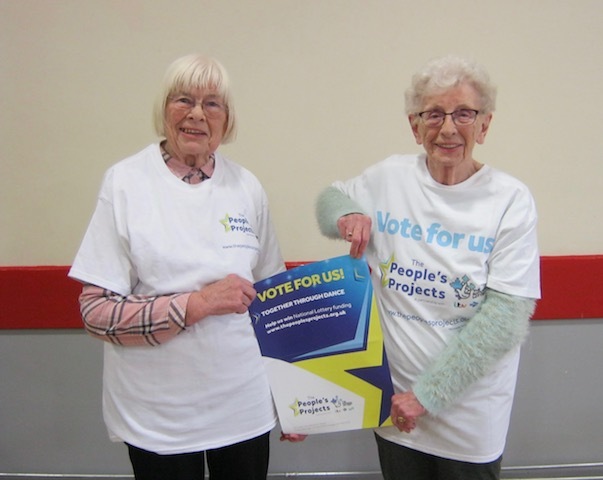 After a lot of hard work from staff, members and volunteers in our campaign for votes for our project “Together through Dance” to receive an award from the 2019 People’s Projects, the results are in. The support from people in the Harrogate district and further afield has been amazing and we appreciate this enormously. We’d like to say a heartfelt thank you to everyone who voted for us. However, sadly Dancing for Well-Being is not one of the winning projects. This is very disappointing because we needed the funding to continue our existing work and develop and grow. But we’ll keep applying for funds and fundraising in every way we can and we will keep going! We have every reason to be proud of what we’ve achieved together. There are lots of positive things to take away and build on from the process we’ve been through. As runners-up we’ll be given an opportunity to receive an award from the People’s Projects of up to £5,000 to help fund our work, and we’ve had some excellent publicity which is already leading to more enquiries from people wanting to join our groups and volunteer with us. If you’ve been inspired by what we do and want to offer support with funding, or with your time, enthusiasm and skills, please don’t hesitate to get in touch! And finally, we want to congratulate the excellent projects in the ITV Calendar North region that won this year’s People’s Projects awards – “Bumpy Ready, Steady, Go”, “Growing our Community” and “Take Care of Me : My Life with Type 1 Diabetes”. Dancing for Well-Being has an amazing opportunity! 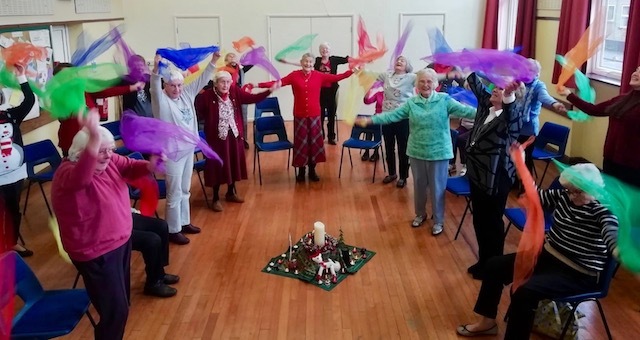 We could receive a National Lottery award of £48,800 for our project “Together through Dance” in the ITV Calendar North region of this year’s People’s Projects. But we need your support and your vote to achieve this. Please don’t delay! Voting closes at midday on 15th April. A film has been made about us which was shown on ITV’s 6.00 p.m. Calendar North News on Friday, 5th April. But you can also see our film on the People’s Projects website by clicking on the link above. About the People’s Projects The People’s Projects is a partnership between The National Lottery, The National Lottery Community Fund and ITV which gives the public the chance to have a say in how National Lottery funding is spent in their local community. The National Lottery has shortlisted 5 community organisations in each ITV region, so 95 in total across the UK. The 3 that receive the most public votes in each ITV region will each receive a grant of up to £50,000 to help them continue to improve local people’s lives and help their communities to thrive. Everyone at Dancing for Well-Being is delighted to be one of the 5 organisations shortlisted in the ITV Calendar North region. 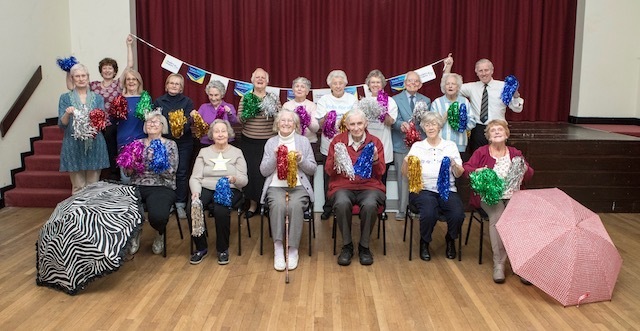 About Dancing for Well-Being In later life keeping active and involved in the community isn’t easy if you have health or mobility problems, are coping with bereavement or caring for your partner. Dancing for Well-Being can help. 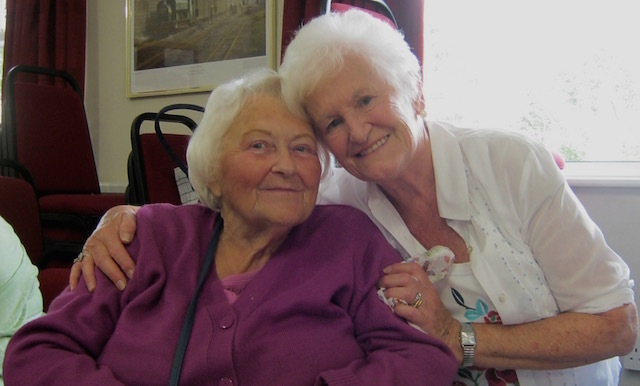 We run weekly groups for older people in the Harrogate district which help improve physical, emotional and social well-being. 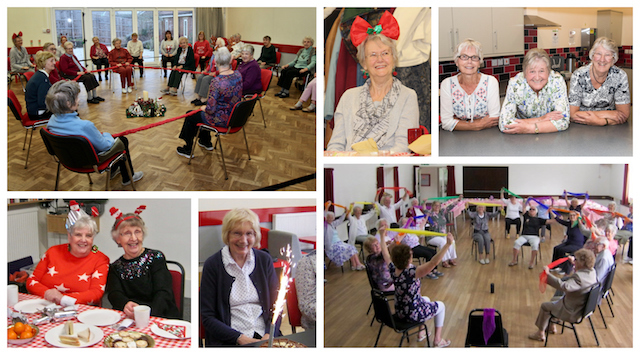 We dance, we sing, we chat, and have a lot of FUN together! We currently run 6 weekly accessible groups in venues in Harrogate’s town centre, in Bilton, Starbeck, Knaresborough and Hampsthwaite. You can move at your level, sitting or standing, and you don’t need a good memory. At the moment we have 160 group members and between 90 and 110 come every week. We also have 25 much-valued volunteers. Dancing is great exercise of course, for the brain as well as the body. But it’s also relaxing – you can feel such a release of tension and stress, and the music and company can really lift your spirits! This is a wonderful opportunity to raise awareness and support for our work, and to secure much-needed funding. If successful, we’d use the award to continue to run our existing groups, set up more groups and activities and intergenerational sessions. We do hope you will get behind us and vote for us. You’d be helping us make an even bigger difference to our local community. 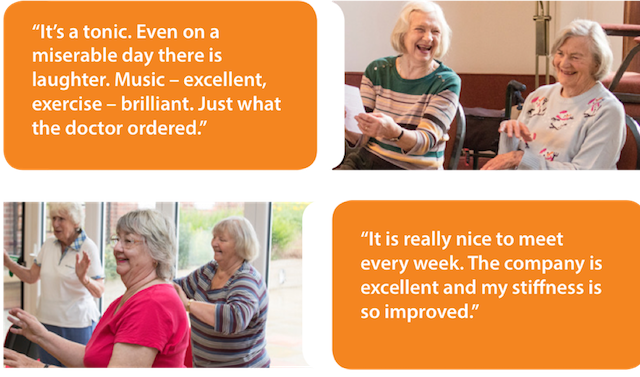 Your support to secure this National Lottery funding is vital to help us bring many more people together through dance to improve their sense of well-being, belonging and community. Thank you!